L.B. Plastics, Inc. produces several gutter accessories to help keep your gutters and downspouts flowing, as well as keep water away from your foundation. 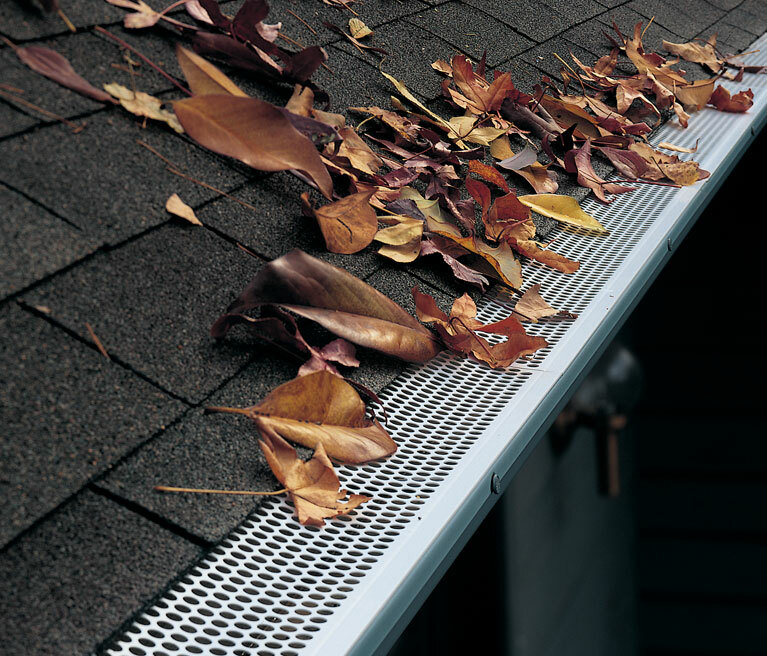 Sheerflow® Gutter Filters help keep your gutters clean by integrating a small screen to filter out leaves and small debris while allowing water to flow into your gutters. Our gutter screens are made of durable, UV resistant vinyl, so they will never rust and are easy to cut during installation. They fit both 4” and 5”, “K” and “V” style gutters and are available in 4 foot lengths. Standard colors are white and brown. 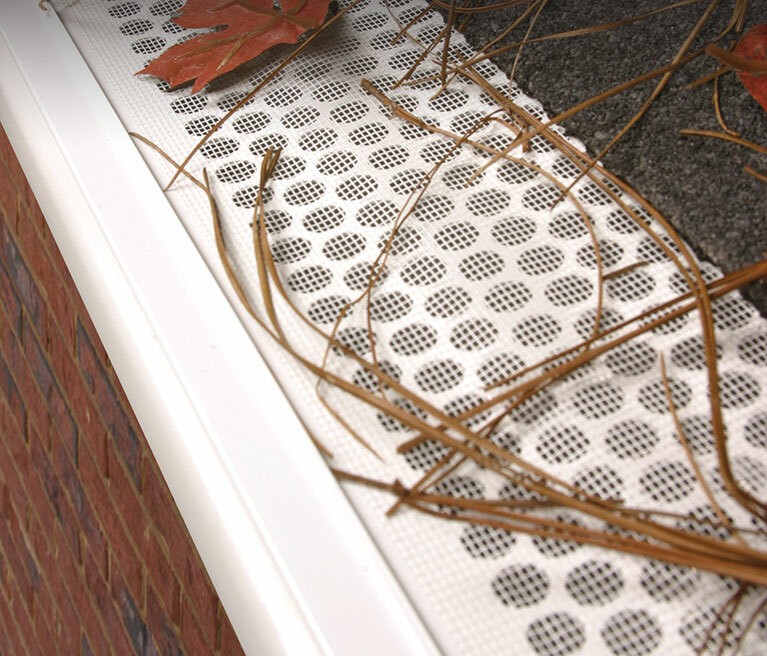 Quik-Snap® Gutter Screens provide an economical solution for eliminating larger debris from your gutters. Our gutters screens are made of durable UV resistant vinyl, so they will never rust and are easy to cut during installation. They fit both 4” and 5”, “K” and “V” style gutters and are available in 3 foot lengths. Standard colors are white and brown. The Adjust-A-Spout® helps keep water away from your foundation. 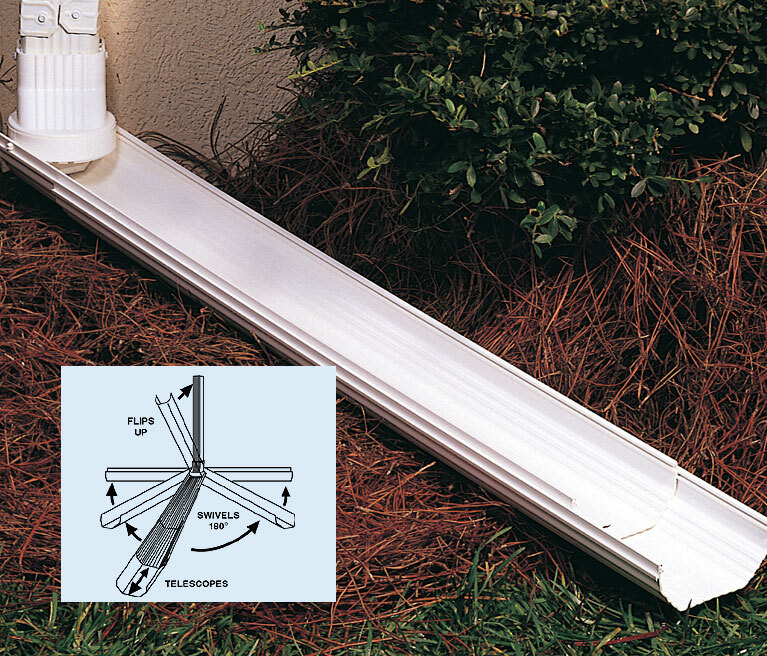 The adjustable downspout extends to nearly 6 feet, swivels 180 degrees, and easily flips up to a vertical position for lawn maintenance. Unlike other corrugated products, the Adjust-A-Spout will not hold stagnant water which helps prevent mosquito breeding. Both white and brown options fit 2" x 3" and 3" x 4" downspouts.